Last weekend I went on a 13 mile circular walk with a friend of mine around Alton in Hampshire. It was one of the best walks I have ever done, such variety in the landscape, amazing vibrant colours that only Springtime brings and gorgeous weather too. 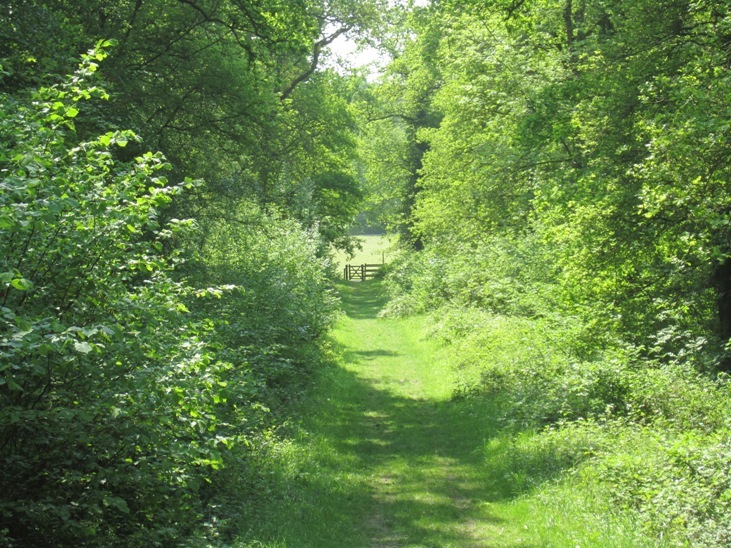 The landscape varied from farmland with fabulous views to English woodland with anemones and bluebells – just gorgeous! It’s everything that makes England so special, particularly at this time of year when there are so many luscious greens in the landscape. This pathway led out into an open field but you don’t get a real sense of this until you get closer to the gate. The gate creates a natural focal point which lures you towards it and although you get a feeling for what lies beyond, it still only offers a snippet which makes you want to go and take a look for yourself. 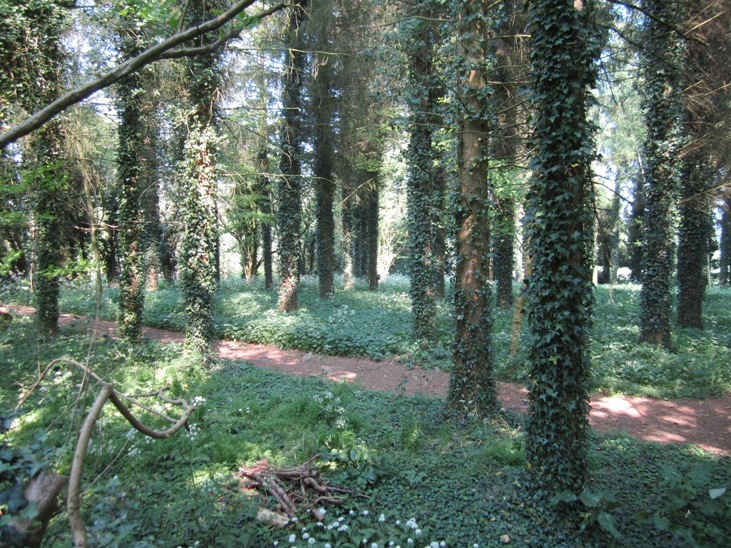 The floor was a carpet of ivy and wild garlic (the white flowers in the foreground) which defined the pathways and softened the whole look. The light was amazing too although I only had my little camera so I’m not so sure it comes across in this picture so well. I think what struck me most was the element of surprise when we entered the woodland through a field gate. Pine forests are not known for their woodland planting so the effect created by the groundcover was really unexpected, amazing.